Companies have used promotional people in some weird ways over the years, but it can pay off big time. Who could forget seeing a live Pikachu parade, and who hasn’t been thankful for a can of cola on the street? This blog will look at some tried and tested ways for you to make the most of your promotional staff. Coca-Cola are one brand that have their marketing down to a T. Most of us have been subjected to a happy coca-cola ambassador brandishing free goodies along the high street, but perhaps their most impressive use of promotional people is through their Coca-Cola Christmas truck tour. When you think about it, it’s a little strange that a brown sugary drink has become so intertwined with Christmas festivities, but Coca-Cola have managed it. We think that the reason that Coca-Cola have been so successful in this enterprise has been down to their stellar use of marketing technique combined with dedicated promo staff. The Christmas truck campaign is well prepared, well advertised and very hyped. It’s also a nationwide event that brings the country together through one unified experience. Coca-cola are also taking note of the popularity (and necessity) of recycling by promoting their eco-friendly recycling bins that travel alongside the truck. The Pikachu parades are always a hit in Japan, and this year to celebrate the new Pokemon game, they’re introducing a new squad of promo staff to play the role of one of the game’s protagonists – Eevee. This cute pokémon looks a bit like a cross between a rabbit and a fox, and a dedicated squad of event staff will be joining the Pikachu parade in Eevee outfits this year. The expansion of the Pokémon parades is an indication of their success. Like Coca-Cola's Christmas truck, the Pokemon parades are events that really make a buzz on social media outlets. The Pikachu parades often involve a little dance done by a select group of elite Pikachus, and they’re not the only ones who think that a little dancing can promote a brand. T-Mobile organised a flash mob in 2009 with great success. Unlike the Pikachu parade where hype is built up over a long time as the anticipated date gradually gets closer, a flash mob succeeds on the element of surprise. You definitely wouldn’t forget seeing this happen on your lunch hour. In 2012, a dedicated brand ambassador for red bull fell twenty-three miles from the Earth’s stratosphere. His successful fall from space drew eight-million live views on YouTube. It was a big risk but a huge feat. Do you have anyone dedicated enough to your company to fall from space for you? Despite some initial struggles, Uber stayed afloat thanks to its savvy marketing stunts. 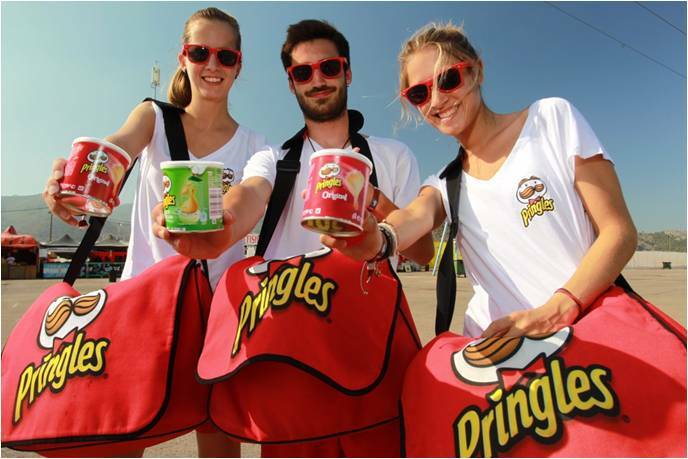 One of these involved sending brand ambassadors door-to-door delivering ice cream on the hottest days of the year. This was combined with a digital marketing effort, which saw its efforts go viral. Thorpe Park presented a PR stunt which was not for the faint-hearted. In celebration of their Walking Dead attractions, they released a living billboard which toured London via a truck. The billboard featured promotional staff dressed and acting as zombies to catch the attention of passers by. This museum cashed in on the release of the film Night at the Museum by hosting some sleep overs, quaintly named ‘Dino Snores’. The night involves a three-course dinner, a night trip around the galleries, music, gin sampling, comedy, a pub quiz and so much more. You’d need some extra special exhibition staff in order to pull this one off! If you have some stunning ideas that you think could be the next newsworthy PR stunt, consider hiring from our professional promotional staffing for your next exhibit.